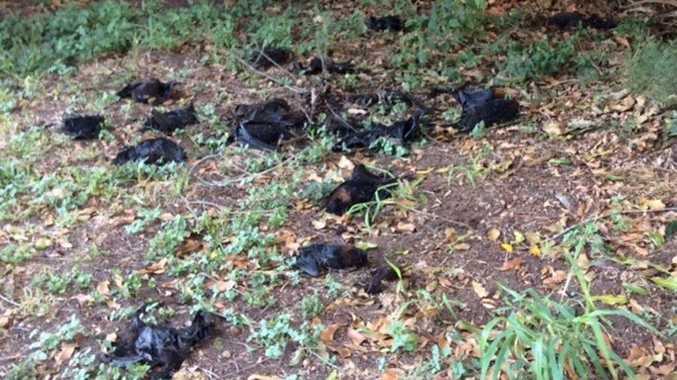 A Marburg woman picked up about 150 dead bats from her property. 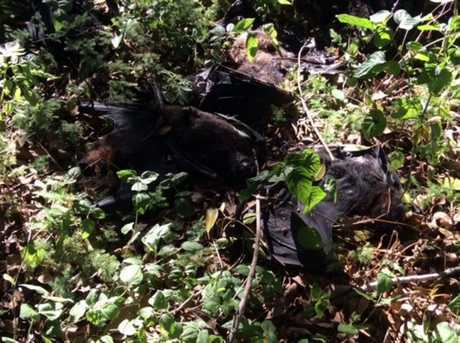 A MARBURG woman spent hours cleaning up hundreds of bats from her property after they dropped dead in the extreme heat. 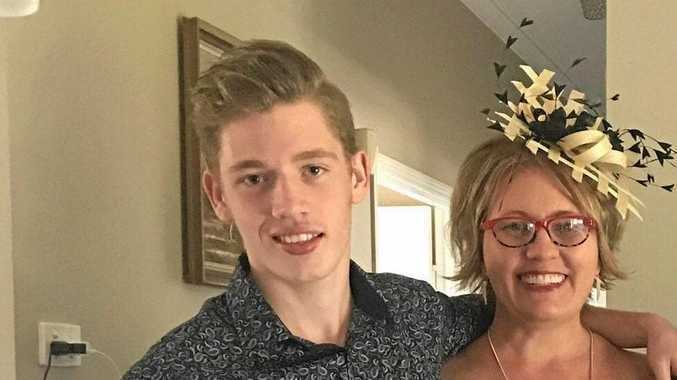 Shirley Dance discovered the bodies under a large fig tree in a paddock on Friday but believes they died earlier this month when weekend temperatures hit 43 degrees. With the help of a neighbour, Mrs Dance dressed up in long sleeves, jeans, gloves and a mask, and set about cleaning up the mess. The bodies filled five wheelie bins, dropped off by Ipswich City Council. "They had been dead a while so you can imagine the stench," Mrs Dance said. "It was distressing but the council was very helpful." The 150 bodies at her Marburg property were among 2000 killed in Queensland's latest heatwave, according to bat rescuer Keith Falkiner. Most of those, he said, were at Kilcoy and Yamanto. While those numbers sound high, Mr Falkiner from south-east Queensland Bat Rescue was relieved more bats hadn't died. "We were expecting it to be much worse," Mr Falkiner said. "When we had a heatwave at the beginning of 2014 some 5000 bats died."